Car and truck drivers often fail to see motorcyclists when they try to execute left turns. If you were hit by a vehicle while it was making a left turn, you may have a claim against the driver. At Frankl & Kominsky, we are skilled in aggressively asserting an accident victim’s right to damages. 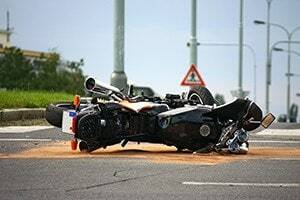 Our motorcycle crash attorneys have assisted many individuals in Boynton Beach and surrounding communities who are hurt because a driver failed to safely complete a left turn. We provide seasoned and effective representation to seek the compensation that our clients need for their injuries. Motorcycle riders are often struck by motorists executing left turns in a careless manner. Many other drivers simply fail to see motorcyclists next to them, or they may not accurately gauge the distance between their vehicle and a motorbike. This often results in the car or truck clipping the front of the motorcycle as it makes the turn, or striking it on its side. Florida requires motorists to use caution when making left turns. Drivers must yield the right of way to vehicles coming from either the opposite direction or passing on the left at an intersection. If a motorist collides with a motorcycle, any of its riders may suffer serious injuries in the ensuing crash. A driver’s failure to take adequate care is usually at the root of a left-turn accident. By establishing the negligence of someone at fault for a collision, you can potentially obtain damages for your injuries. When a person fails to act with reasonable care to avoid the foreseeable risk of harm to others, that person may be deemed to be negligent. Since you would be the plaintiff, you would have to establish that the defendant owed you a duty of care. All Florida motorists are required to drive with reasonable care, which means acting as carefully as the typical person would act in the same circumstances. You would need to identify a way in which the defendant breached this obligation. A driver can violate the duty of care in a number of ways, including by failing to yield the right of way when attempting a left turn. This breach must have directly caused your injury and given rise to actual damages that you incurred, such as hospital bills. A driver may also be negligent as a matter of law. Florida makes it a crime to operate a vehicle if a person has a blood-alcohol content of at least .08 or if his or her faculties are otherwise impaired by intoxicating substances. If the driver was drunk or drugged behind the wheel, he or she likely is negligent per se. You can use proof of the intoxicated driving to substitute for proving the elements of duty and breach, but you must still show that the defendant’s conduct caused your injury and damages. A driver may argue that you are entirely responsible for causing the accident. Even if you are partly to blame, you can sue another party who is responsible and still recover damages for his or her percentage of fault. Motorcycle crashes often result in serious injuries to riders. You can seek damages for medical expenses, damage to property, loss of income, and pain and suffering, among other forms of harm. If a crash is fatal, you can file a wrongful death action to recover for losses such as your loved one’s medical bills, funeral and burial costs, lost income, and loss of companionship. You have four years from the date of an accident to file a Florida injury claim, and two years to initiate a wrongful death lawsuit. The dedicated motorcycle accident lawyers at Frankl & Kominsky advocate tirelessly for the rights of victims. We have helped many people who have been injured in South Florida crashes recover the compensation they need. If you or a relative has been hurt by a careless driver making a left turn, we will spare no energy in seeking to hold the driver liable for your harm. We represent clients in Delray Beach, Lakeworth, and Miami, among other Florida cities. Call us at (855) 800-8000 to arrange a free and confidential consultation. You can also reach us online. We are fluent in Spanish and Creole.